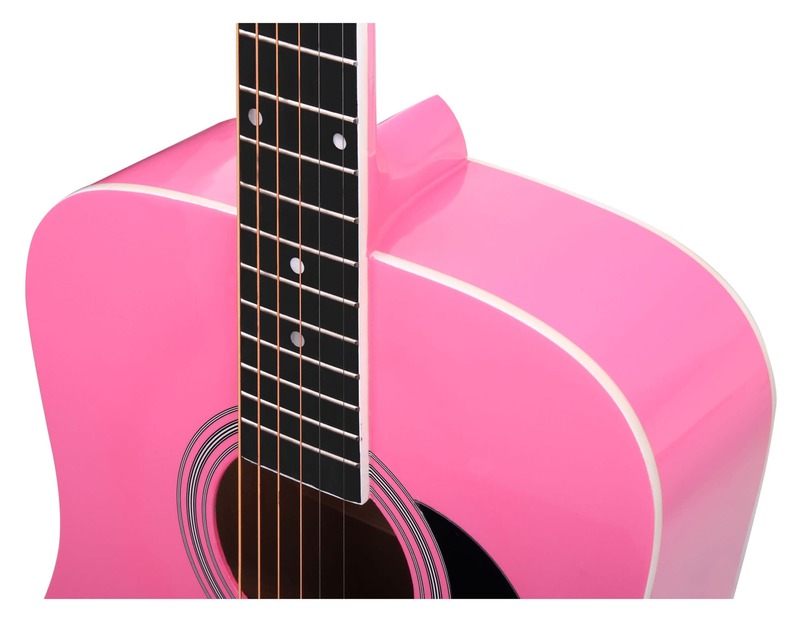 The time is right for this acoustic guitar! Those who always wanted to play acoustic guitar but put their dreams on hold because of the cost don't need to wait any longer. Your patience has paid off! 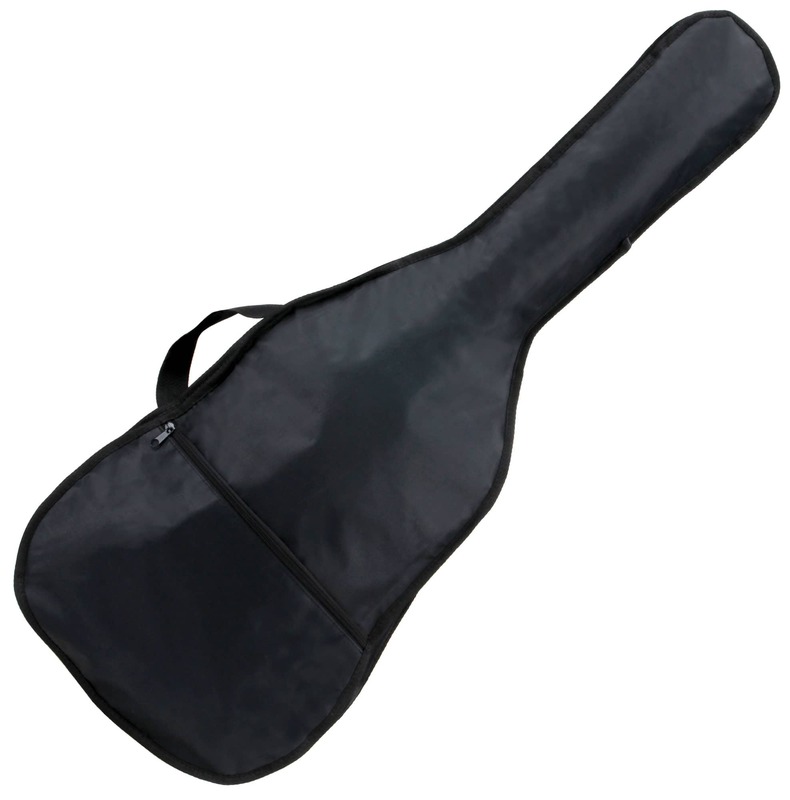 This good-looking black acoustic guitar from Classic Cantabile gives you an incredible sound at an incredible price. A visual and sonic treat! 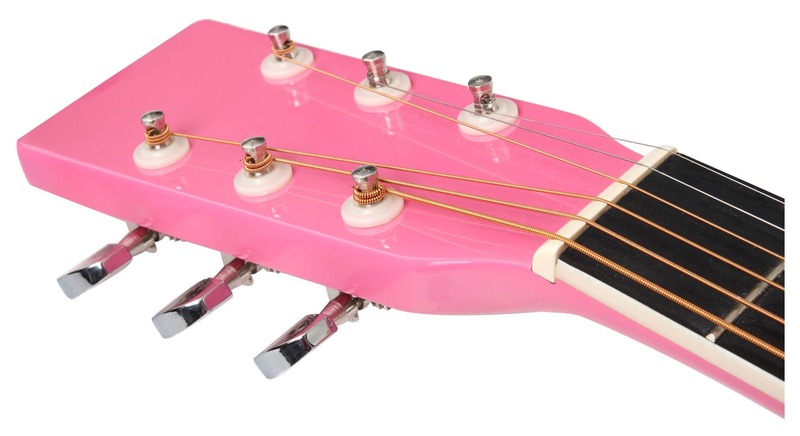 This cool pink guitar looks awesome. Its Dreadnought style gives you strong middle tones, powerful basses, and silky treble tones. The sound is simply beautiful! The price tag may be low, but the Classic Cantabile doesn't skimp on quality. Quality is a badge of honor for Classic Cantabile. The top, back and sides are made of maple, and the neck is made of birch. A 2-way truss rod provides a flexible reinforcement of the neck. The frets are manufactured from corrosion-resistant nickel silver. 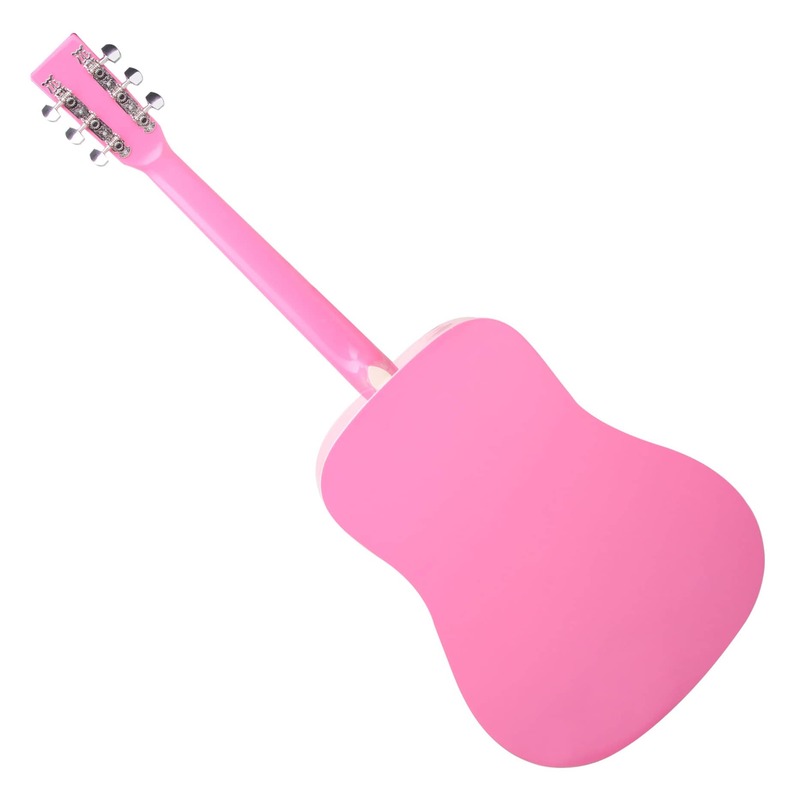 This acoustic western guitar has a really great first instrument for beginners and will be great for playing in the living room, at music lessons and on acoustic stages around the world. 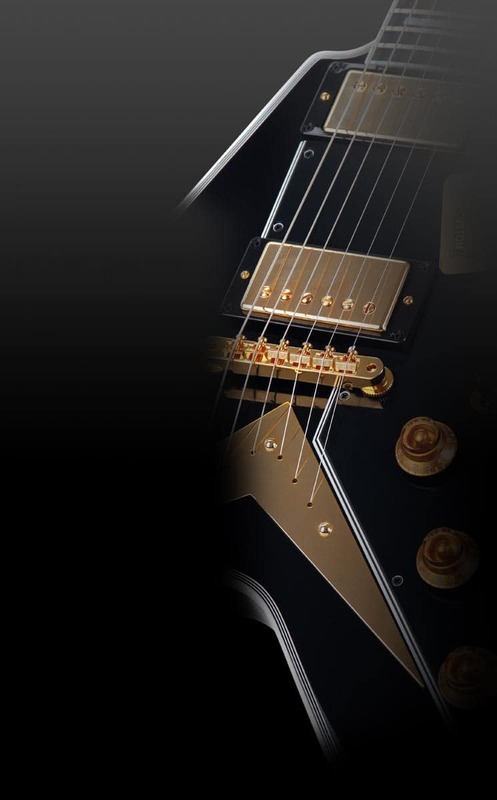 Even advanced guitar players needing a second instrument will find what they are looking for in this guitar. Pick it up and play! 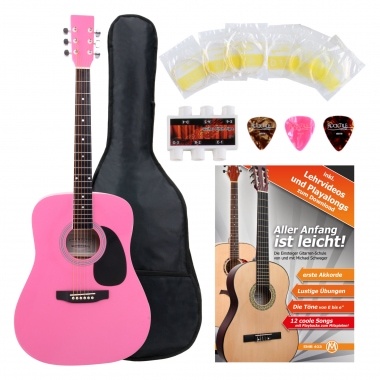 Klingt wirklich super, geht in Richtung Sigma/Martin Guitars. Verarbeitung ist ok für den Spitzenpreis! 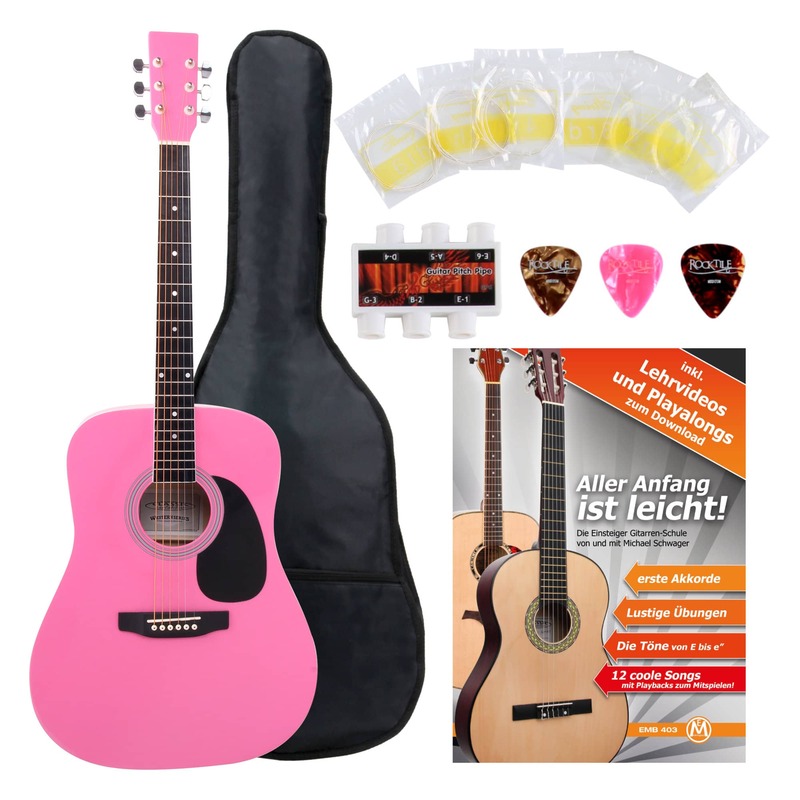 Diese Gitarre klingt nicht nur gut, sieht auch toll aus. 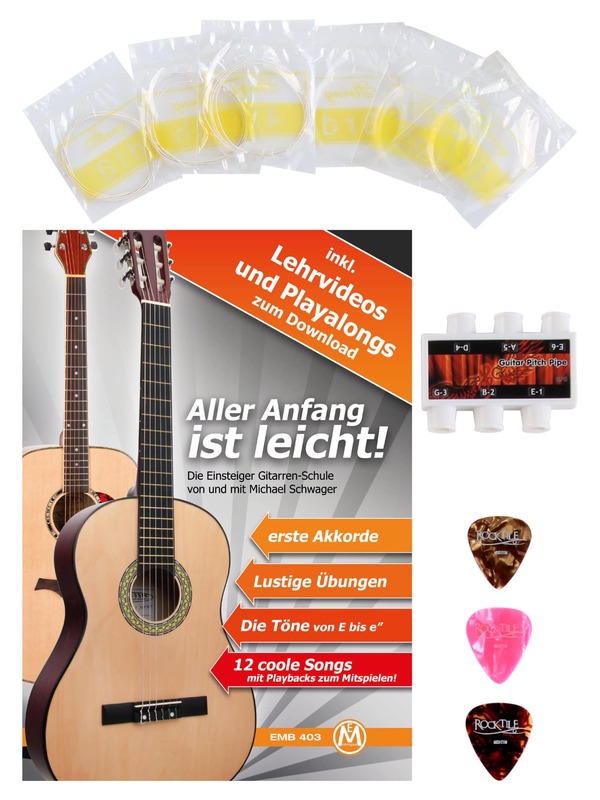 Da meine Tochter zum Geburtstag unbedingt eine Gitarre haben wollte, entschloss ich mich für den Anfang für dieses Starter Set. Ausgepackt, ausprobiert und sie ist hellauf begeistert. Die enthaltenen Anleitungen werden derzeit ausprobiert.